Okay. So, I don't usually do a movie review but I decided do it this once on a movie I watched last week at Pavilion with my bestie Sue. It's just so good that it deserves more attention! You could say that this is not an in depth review, but more on my thoughts on this awesome movie. First, let me be a bit honest. I don't usually watch this kind of movie in cinema. I usually go for animation, disney movies, or fantasy like movies. But my friend Sue convinced me to watch it and I got to say, I don't regret watching it at all. It was amazing and worth every penny. This movie, is a Malaysian production movie, and it revolves around the theme of family and love. 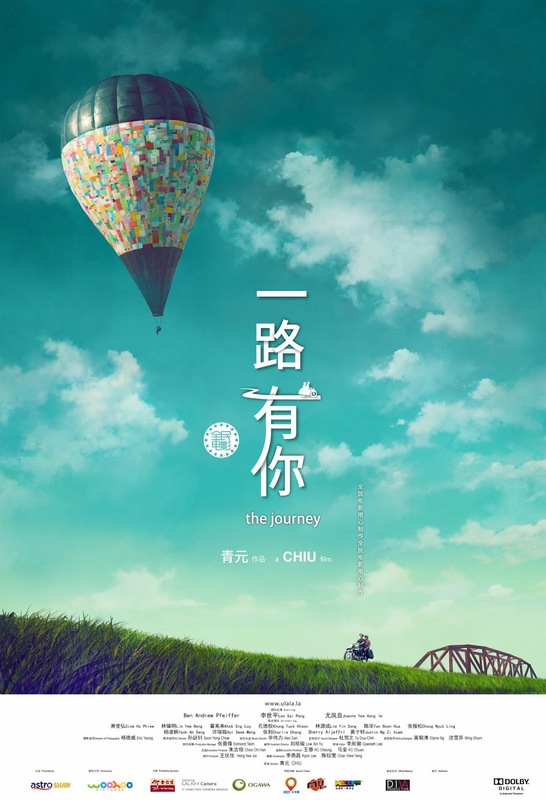 And the movie was released on cinema on 30th of January, for Chinese New Year. The actors and actresses are just amazing, especially the one who played Uncle Chuan and Benji. Their chemistry is just marvelous. The cinematography, and storyline is just awesome. There are so many pretty shots in this movie that impressed me. This movie tackle on so many issues at once and what's more amazing is that they did it so deeply that I cried so much while watching. So many laughter, but also so many things that touched my heart. This is not just an empty movie with no values. I would recommend this to everyone. A great watch for family day out.